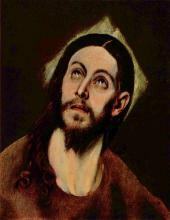 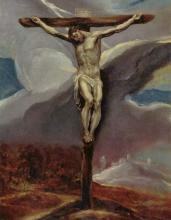 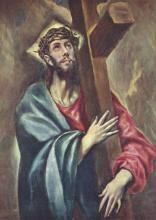 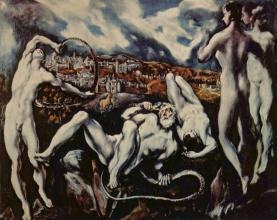 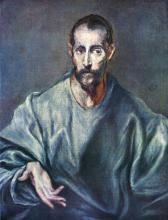 El Greco ("The Greek", 1541 – April 7, 1614) was a painter, sculptor, and architect of the Spanish Renaissance. 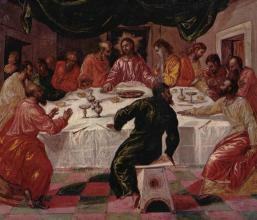 He usually signed his paintings in Greek letters with his full name, Doménicos Theotokópoulos (Greek: Δομήνικος Θεοτοκόπουλος), underscoring his Greek origin. 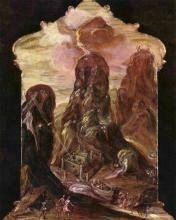 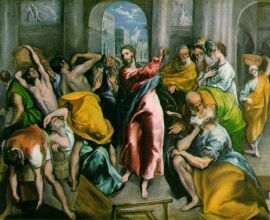 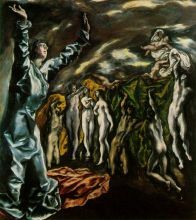 El Greco was born in Crete, which was at that time part of the Republic of Venice, and the centre of Post-Byzantine art. 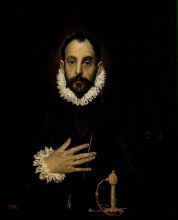 He trained and became a master within that tradition before travelling at 26 to Venice, as other Greek artists had done. 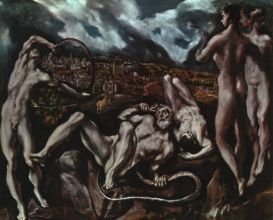 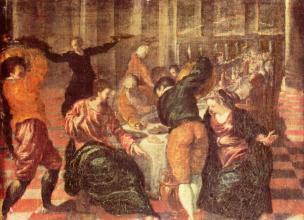 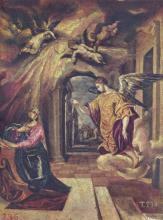 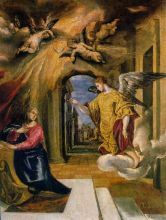 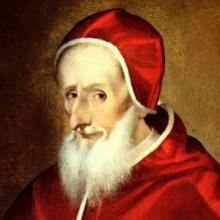 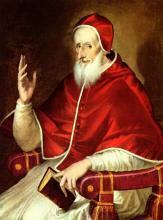 In 1570 he moved to Rome, where he opened a workshop and executed a series of works. 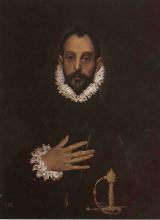 During his stay in Italy, El Greco enriched his style with elements of Mannerism and of the Venetian Renaissance. 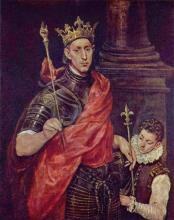 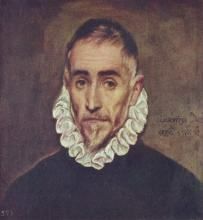 In 1577 he moved to Toledo, Spain, where he lived and worked until his death. 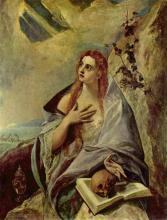 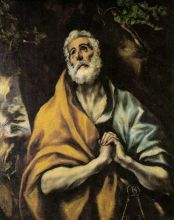 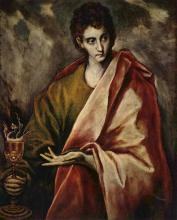 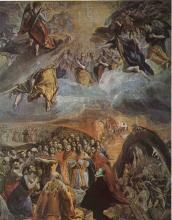 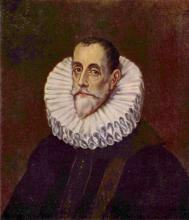 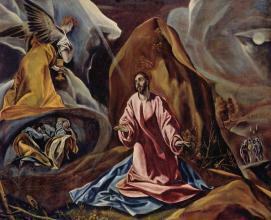 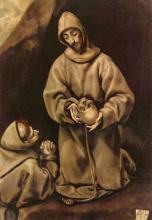 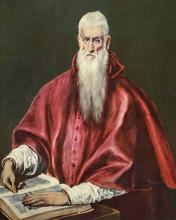 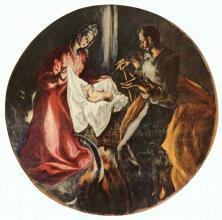 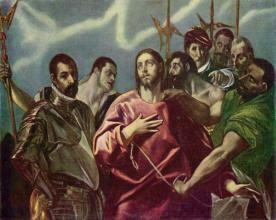 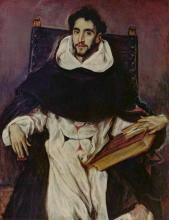 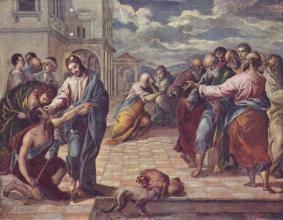 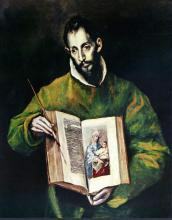 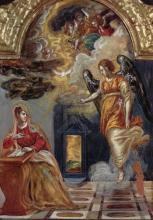 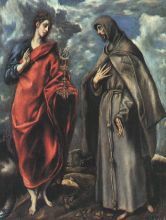 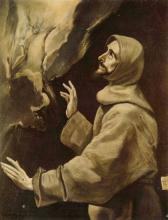 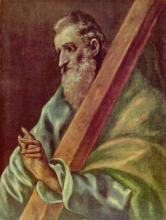 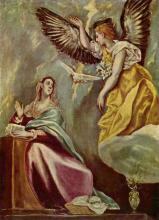 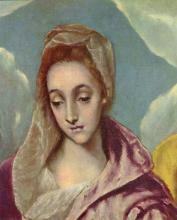 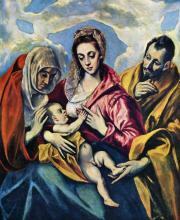 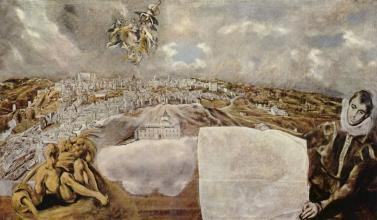 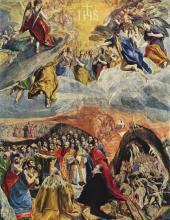 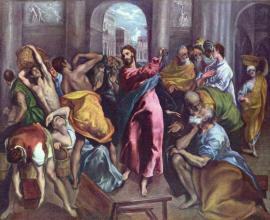 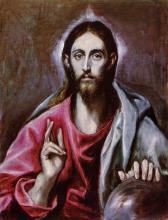 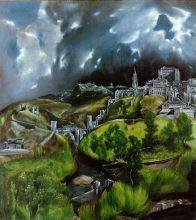 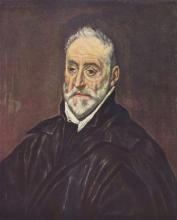 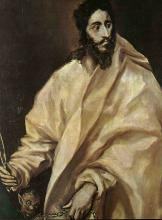 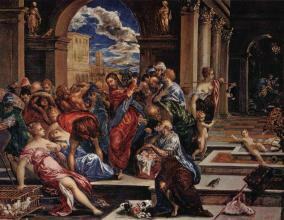 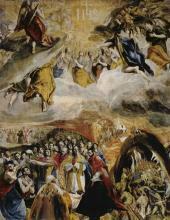 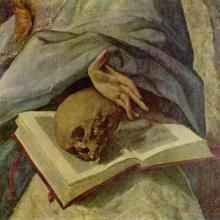 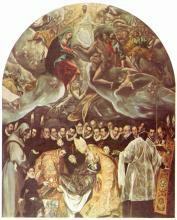 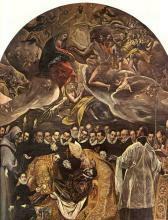 In Toledo, El Greco received several major commissions and produced his best known paintings.